My twin sister got a collection of him at the library when she was a teenager. She's insisted that Mose Allison sang the best version of "Don't get around much anymore." I was curious so I bought this box set. Yes, it's an excellent version, full of wit. The thing that strikes me about Mose Allison's vocal skills is how laid back he sings. He taps into the lyrics but doesn't overdo it like so many jazz artists. I also like his cover of Willie Dixon's Seventh Son. Of course, throughout my life, I've known the famous Johnny Rivers' fun cover of that song. Yet I like Mose's take on it too. "I've got a right to cry" is pretty good too. 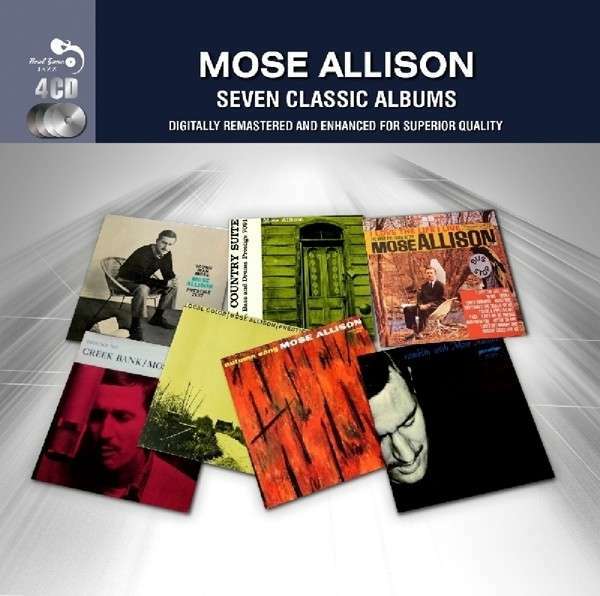 Mose Allison was a pianist so much of the material is instrumental. I have to admit that's not my thing but I definitely love the songs he sings here.